Rafael Camacho will not rest on his laurels after a positive week including a first-team debut and a clinical goal for Liverpool U23s. The 18-year-old netted the opener at the Academy as Neil Critchley’s young Reds, who were reduced to 10 men midway through the first half, drew 1-1 with Brighton and Hove Albion on Monday night. That outing came a week on from Camacho’s first senior appearance for the club, at right-back in the FA Cup defeat against Wolverhampton Wanderers. Jürgen Klopp has confirmed that the versatile forward, a regular member of the training squad at Melwood, will not leave the club on loan this month and named him on the bench at Brighton on Saturday. Camacho is determined to maximise the chances coming his way and glean the most he can from the education involved in being around the first team. “You learn every day. The quality there is very good, it makes you a better player,” he told Liverpoolfc.com after Monday’s Premier League 2 clash. 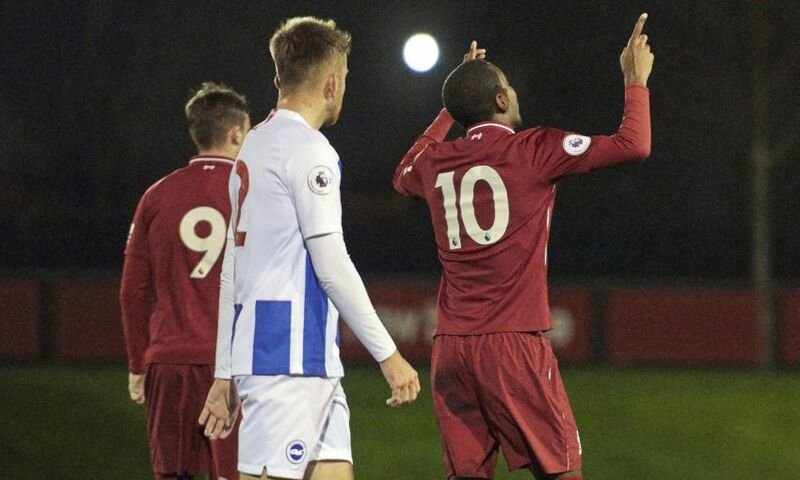 Camacho’s instinctive touch-and-strike earlier this week put Liverpool U23s in command of their meeting with Brighton in Kirkby. Ki-Jana Hoever’s unfortunate dismissal nine minutes later forced the home side to dig deep, however, and their resistance was broken in the closing stages. The lively Camacho had hit the crossbar before Brighton’s equaliser and though the final result went against the young Reds on the night, he is enjoying his influential role. Klopp: I told Rafa he'd made the most important challenge of his life!